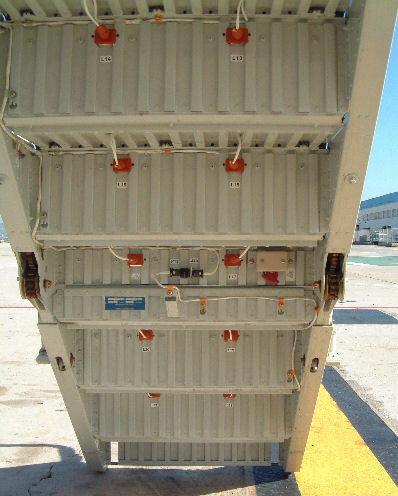 Forward Airstairs May be operated from either internal or external panels. 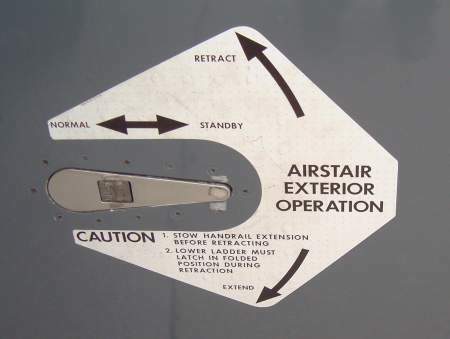 The internal panel requires the forward entry door to be at least partially open. Both panels have normal and standby systems. Normal requires AC and DC power, standby only requires DC. External standby system power comes from the battery bus and so does not require the battery switch to be on.